The advantages of using an Agile Integration framework don't stop at the fundamental building blocks (API Management, Distributed Integration, PaaS). This kind of framework is not isolated from the rest of the architecture. 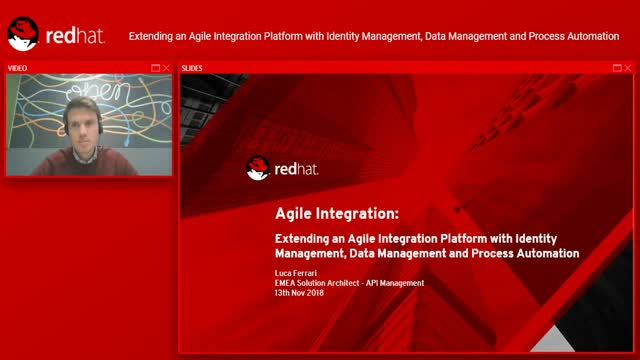 In this session we will show how we can integrate also end users authentication and authorization, integrate various data sources and manage processes around getting access to the exposed services.